UBS is withdrawing from the Protocol for Broker Recruiting, effective December 1, making it the second wirehouse and first original signatory to announce its exit. Four weeks to the day since Morgan Stanley bailed on the protocol, UBS appears to have explained its own decision as an advisor retention strategy. That’s similar to Morgan Stanley, which slipped its revelation into an October 30 “new talent investment strategy” announcement aimed at refocusing its resources on existing talent. UBS didn’t respond – as of this writing – to FA-IQ’s request for additional comments regarding its exit from the broker protocol. UBS’s exit from the broker protocol doesn’t come as a surprise to industry observers such as Bill Singer, a lawyer who is of counsel at Gusrae Kaplan Nusbaum, who expected other signatories to follow Morgan Stanley’s lead. When Morgan Stanley announced its exit from the broker protocol, industry experts viewed it as a stern warning to broker-dealers planning to leave the wirehouse and to the firms planning to hire or absorb these individuals. The clear message, say lawyers, is that doing so would lead to more payback in the courts or in arbitration. The broker protocol was created in 2004 to help cut down the number of lawsuits and arbitration cases filed by broker-dealers because of advisors moving from one firm to another. Before the broker protocol was created, the number of lawsuits and arbitration cases filed were “excessive” and the poaching of advisors from companies was “rampant,” says Singer. UBS Financial Services, Citigroup Global Markets, and Merrill Lynch, Pierce, Fenner & Smith were the three original signatories of the broker protocol, which currently has nearly 1,700 signatories. But since its creation, some say the broker protocol has facilitated the exit of broker-dealers from their firms to join other broker-dealer firms, join an RIA network or set up their own independent practices. The exodus of advisors from broker-dealer firms has been particularly pronounced in recent years. Cerulli Associates has identified the independent RIA channel as one of the “largest pockets of opportunity” to generate revenue and increase market share in the financial advisory space. The research firm projects independent RIAs and hybrid RIAs combined will increase their market share to 28% in 2020 from 23% in 2015. The broker protocol lets registered representatives who move from one firm to another – as long as both firms are signatories to the broker protocol – take the following account information: client name, address, phone number, email address, and account title of the clients they serviced while at the firm – and nothing more. The broker protocol also lets registered representatives who comply with the agreement solicit customers they serviced while at their former firms – but only after they have joined their new firms. Taking customer information typically means broker-dealers are eventually able to take millions or even billions of dollars in client assets with them. UBS’s exit from the broker protocol comes at a time when it is embroiled in a high-profile arbitration case against its former advisors Phil Fiore, Jeff Farrar, Louis Gloria and Thomas Gahan, who previously operated as partners of the FDG Group at UBS. While at UBS, the advisors reportedly oversaw $8 billion in institutional assets and more than $400 million in private wealth assets on both a non-discretionary and discretionary basis. The four advisors subsequently launched Procyon Partners, which is part of the RIA network of Dynasty Financial Partners. The strength of the broker protocol and the interpretation of solicitation are among the considerations in that arbitration case. On June 16, UBS filed a lawsuit and a temporary restraining order against its former advisors. At a hearing on the TRO on July 17, UBS argued that Fiore isn’t protected by the broker protocol and remains bound by the non-solicitation provisions of his agreements with UBS – both points the defendants conceded at the hearing. UBS also argued that Fiore communicated with present or former FDG Group clients both before and after the June 2 opening of Procyon, and that this communication constitutes solicitation, thus violating his non-solicitation obligations. The defendants disputed this assertion. Farrar, Gloria and Gahan had been collaborating with Fiore prior to their June 2 resignations from UBS, the bank claimed, and thus violated their fiduciary and other duties to UBS – a claim the defendants also rejected. Finally, UBS said that after Farrar, Gloria and Gahan resigned on June 2, Procyon communicated with clients who were not included on their broker protocol lists, which violates the broker protocol and justifies the court imposing injunctive relief. The Procyon team also disagreed with this allegation. A Connecticut district court denied UBS’s TRO motion on July 24. 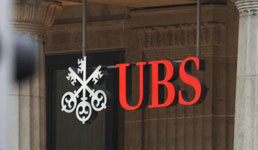 In rejecting the TRO, the court said it considered a range of legal agreements between UBS and its former advisors, including the broker protocol and agreements signed separately by the defendants and UBS. The court also said it considered events prior to the defendants’ employment at UBS, clients the defendants allegedly introduced to UBS, and the alleged solicitation of UBS clients. Despite losing its TRO motion, UBS welcomed the court’s specific finding that UBS was likely to succeed on the merits of its claim that Fiore violated his non-solicitation agreements. At the time, UBS said the court’s finding made it hopeful that it would be vindicated on its claims for monetary damages in its Finra arbitration against Fiore. Does the Preoccupation with AUM Harm Client Service? The Great Drug Pricing Debate: Could Value-Based Pricing be the Panacea?